Campsite le Clos Virgile is a beautiful 4 star wooded campsite that lies within 5 hectares of grounds within the natural protected site of Les Orpellieres on the outskirts of Serignan-Plage. The owners of this fabulous campsite clearly work hard to ensure it has been well landscaped and is also well kept. The abundance of plants, flowers and trees ensures that you not only have a pleasant place to stay during you holiday but that you also have some welcome shade from the warm summer sun. Although Campsite le Clos Virgile is on the outskirts of Serignan-Plage don’t think that this means you won’t be near the beach. Around 400m away from the site and 5 minutes by foot, you’ll find the glorious beaches which make this part of France so popular with holidaymakers. The beach is wide, long, backed by dunes and stretches out for miles in either direction. Highly popular with families of all ages, the beach has plenty of space and is an ideal place for you to relax or have fun with a spot of sunbathing, swimming, playing games or building sandcastles. If you’d rather stay a little closer to home then don’t worry as Campsite le Clos Virgile offers a fantastic alternative to the beach with its brilliant swimming pool complex. Boasting a large outdoor swimming pool, a smaller covered heated pool, two children’s paddling pools, two jacuzzis and a massive water slide, you’re sure to have a fun time. 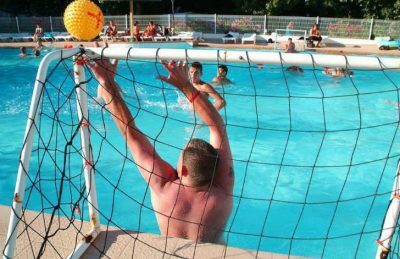 Campsite le Clos Virgile is not only in a brilliant location, it also offers a comprehensive range of activities and facilities on site. 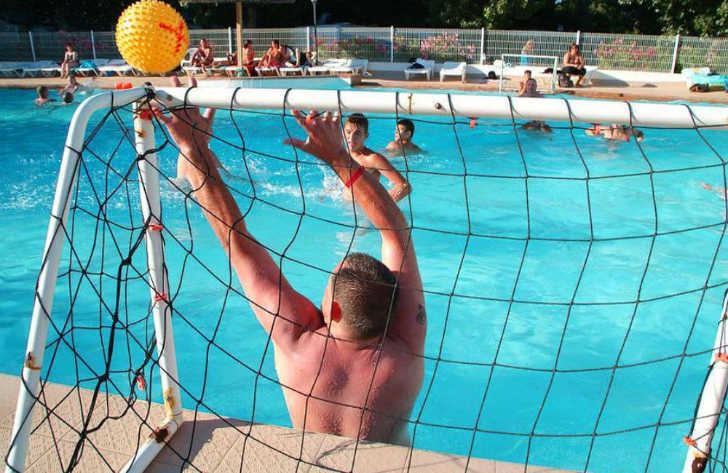 On site activities at Campsite le Clos Virgile include aqua gym, multi sports area, football, basketball, volleyball, table tennis, crazy golf, boules, a playground and cycle hire. Facilities available at Campsite le Clos Virgile include WIFI, restaurant, snack bar, takeaway, bar, groceries, animation team, games room, tv room, washers and dryers. Accommodation at Campsite le Clos Virgile includes a range of 2 bedroom mobile homes that are available from Suncamp. You can also book camping pitches for your own tent, mobile home or caravan at Campsite le Clos Virgile.